Spring is here! 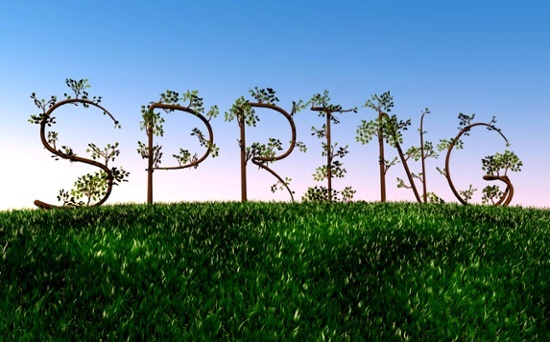 Spectrum Printing Company wants you to think about all the things the new spring season has to offer. The weather is warming; people are heading out to the garden and planting new flowers that welcome the season with a bright friendly pop of color. It's time to clean up refresh. Why not refresh your business image? Spectrum Printing Company can help you do that in a number of different ways. We can create a whole new BRAND IDENTITY for your budding small business. We can do more than just print we can create your business identity from star to finish. We can create a new logo, Design, collateral, materials, website development and more! So why is it so important to have a distinctive brand identity? Well you can almost think of brand identity in the same way you may think about getting yourself dressed in the morning. You ask yourself how do I want to look today? How you look or present yourself is the first impression you give someone else about who it is that you are. Your brand-identity works the same way. Your brand reelects your company’s image. You do not want your company’s image or brand to send the wrong message. Brand identity, in contrast to corporate identity, is the sum of everything you promise to be able to deliver to consumers, and what you want your brand to represent to them. It is a much more complex mix of consumer perceptions about things such as brand personality, positioning, and the values a brand is perceived to represent. It will likely also include perceptions about the features and benefits of your products and services, including price and performance, technical specifications, materials, quality certifications, and more. Depending on whom you ask, brands are alternatively described in terms of some or all of these factors. In addition to helping you clean up your brand identity we can help you clean up your MAILING LIST as well. A properly maintained mailing list is an extremely valuable asset for any business or professional. Mailing lists for direct mail marketing are a key to success in marketing your products or services with postcards and brochures, sending out newsletters and updates, and receiving maximum collections or donations. Let us help you clean up your bottom line. CONTACT US today: (520) 571-1114.